WordPress is a content management system (CMS) which create base on PHP. WordPress is the most popular and user friendly content management system. Joomla is the next position of WordPress. 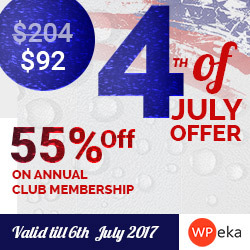 WordPress is more then easy to installation, coding, and plugin development from other Content management system. You have to make a website without any knowledge of coding. User can easily create website by WordPress from other Content Management System. Many Kind of website like E-commerce website, Blog website, Educational Website, Real Estate website, Tour And Travel website , Hotel Reservation Website make with WordPress Content Management System. WordPress Is high Secure from other Content management system like Joomla, Prestashop, Drupal , Magento etc. 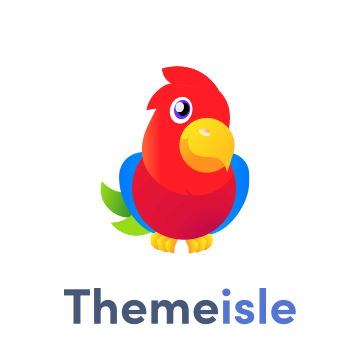 User can easily find out plugins and themes. Lot’s of Free Plugins and Free themes have in WordPress. WordPress Content management system have another amazing features that is SEO friendly. also you have find out many free plugins of seo in WordPress and most of user use a plugins which name is Yoast SEO plugins. WordPress is open source Project. If you have any WordPress Content Management System site then need WordPress SEO plugins. Today I told a plugins name which is the best and popular free plugins in WordPress org. I have no ever seen This type of plugins which have many features and give amazing feedback. Even Though The Yoast team try to make this plugins SEO beginner-friendly. Activate Theme Suggest user to use WordPress SEO (Yoast) Free plugins to ranking user WordPress Website. Search This plugins from WordPress.org > plugins. Enjoy it…! As a web developer best practice is when you start the project before you need to take site backup . This the plugins which is help a developer to take site backup 100% securely with database. No doubt about site backup. Cause Activate theme tested it there own self and Activate Theme Satisfied to use this plugins.. 1M+ User use this plugins so i hope any developer use this plugins without danger. Active this plugins in your site and use it. This is the another plugins which is use for site backup with whole database. Very Simple and need short time to take backup and migration time. I think This plugins easiest from Duplicator. and save time and size. 1M+ cross user this plugins.. It’s have export and import both options. One of best Migration Free Plugins. Download all-in-One WP Migration Plugins and take a backup your website. Each and Every website have contact form to communicate there authority . Contact form 7 are free for WordPress. This Plugins Cross 1M user. Contact form 7 Support Shortcode that’s why user can use this form anywhere post , page and widgets. Communicate quality is fast. User can use html css and make a good looking design.If user face any problem like this problem that, a guest submit form but form not send the admin panel then Contact form 7 is the easy solution for this problem. WordPress Popular Posts Plugins is very important for news theme and blog theme. This plugins filter top Most views popular posts. Which post are views more and comment WordPress Popular Posts plugins those post automatic put up to popular category and show the sidebar. Jetpack plugins is very very important plugins for WordPress website. In this plugins perform many works. Starting the site submit data for every user.How many visitors daily visit the site this plugin it will show that. Visitors visit the site from which country and what is visitors IP location every statement submit this plugins . Only not visitors data there have many features. Visitors see to any post in this post below see the related post. User have share automatically in social media. Do The any post after that this post share automatically Facebook and twitter. no need to share manually. Without these are have many features in Jetpack Plugin.